By CNN'S ZAHID MAHMOOD CONTRIBUTED TO THIS REPORT. British Chancellor of the Exchequer Philip Hammond visits Sensor City on February 01, 2019 in Liverpool, United Kingdom. One of Theresa May's most senior Cabinet ministers has raised the prospect of a second referendum to break the Brexit deadlock, as speculation over the future of the beleaguered UK prime minister and her twice-defeated divorce bill reaches fever pitch. A day after hundreds of thousands marched in central London to demand another public vote, Chancellor Philip Hammond said a second referendum - likely to be one of the options put to lawmakers in the coming days - was a "coherent proposition" that deserves consideration. His comments signal a clear break from May's repeated refusal to allow the British public a second poll on Brexit, and mark the first time a senior Cabinet minister has spoken about such a move as a viable possibility. The Chancellor confirmed parliament would vote on a series of alternative Brexit options this week, and acknowledged that May will be unlikely to salvage her own plan, which lawmakers have already crushed by historic proportions on two occasions. 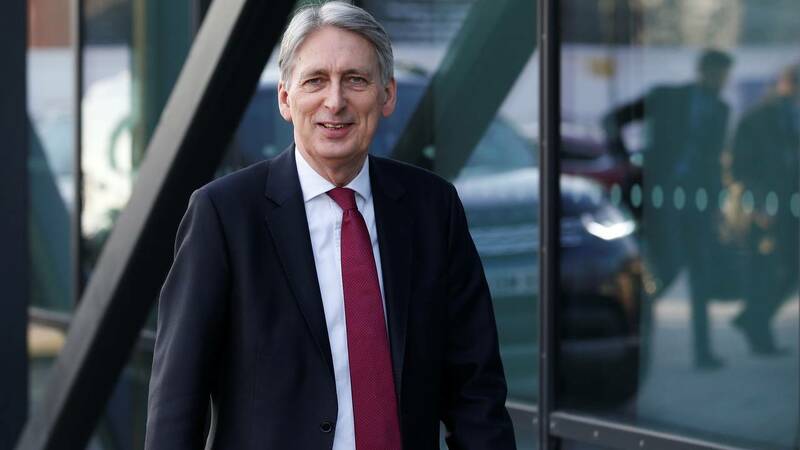 "One way or another Parliament is going to have the opportunity this week to decide what it is in favor of, and I hope that it will take that opportunity -- if it can't get behind the Prime Minister's deal -- to say clearly and unambiguously what it can get behind," Hammond told Sky News. "I'm not sure that there's a majority in Parliament for a second referendum but it's a perfectly coherent proposition -- many people will be strongly opposed to it, but it's a coherent proposition and it deserves to be considered along with the other proposals." MPs could vote as soon as Monday on that and a series of other Brexit alternatives, in an attempt to find a route out of the country's chaotic political standstill before the new April 12 deadline imposed by the European Council on Thursday. Options are likely to include continued membership of the EU's single market or customs union, a second vote, a Canada-style free trade agreement and a no-deal exit. May has not yet confirmed whether she will bring back her Brexit deal for a third time, after the previous votes were defeated by 230 and then 149 votes. She would need to flip 75 MPs for it to succeed, but opposition parties and hardliners on her own backbenchers have so far been firmly opposed to the bill. If it does pass, the Brexit delay would be extended until May 22 to allow parliament time to enact necessary legislation. But its anticipated defeat would set Britain on another collision course with the EU, with any alternative other than a no-deal break likely requiring the government to seek a further extension and possibly forcing the UK to take part in European elections in May. The chances of May being in office to see any Brexit strategy through are increasingly being thrown into question, with several senior Cabinet ministers reportedly preparing to force a coup when they meet the Prime Minister on Monday. The Sunday Times newspaper reported that 11 Cabinet ministers -- almost half of her senior government ministers -- are to confront May with an ultimatum, urging her to quit in return for support for her Withdrawal Agreement. The paper reports that her de facto deputy and close ally David Lidington is being lined up to take over, while The Mail on Sunday says Environment Secretary Michael Gove is the "consensus choice" for the job. Both have since stressed their loyalty to the PM. Speculation was heightened further when George Freeman, a Conservative MP and former policy adviser to May, said on Saturday evening that it was "all over" for May. "I'm afraid it's all over for the PM. She's done her best. But across the country you can see the anger. Everyone feels betrayed," Freeman tweeted. Downing Street told CNN that it would not comment on speculation from newspapers, and that the rumors have not affected the schedule for the upcoming week. Hammond added that such rumors were "self-indulgent." He added: "This is not about the Prime Minister or any other individual, this is about the future of our country. Changing Prime Minister wouldn't help us, changing the party in government wouldn't help us." Nonetheless, uncertainty over the government's role in the Brexit process if it were to see its plan defeated for a third time has bolstered the suggestion that May could be cast aside, and added to the clamor for an alternative route. One million people, organizers claimed, marched through London demanding a second referendum on Saturday, and 5 million have signed an online petition urging the government to revoke Article 50 and cancel the Brexit process altogether. Those heightened calls for a so-called "People's Vote" could also provide May's Brexit deal an unlikely lifeline, with some senior opposition figures suggesting they would vote in favor of the plan if it were then put to the people in a confirmatory referendum. "I will help you get it over the line to prevent a disastrous no deal exit. But I can only vote for a deal if you let the people have a vote on it too," Labour's deputy leader Tom Watson told Saturday's rally.